The stamp on top right corner is the cover of a TinTin book in Japanese! How cute is that! Although we used to read them in Persian ;) I was in love with all of TinTin stories. They still bring back sweet childhood memories. 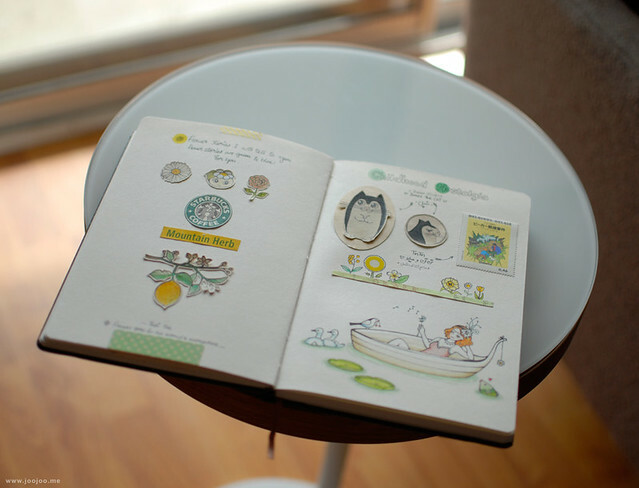 Dearest sweet Afi, such lovely and very adorable sketches! I love it...and it's so inspiring. Have a lovely merry happy week and love to you! 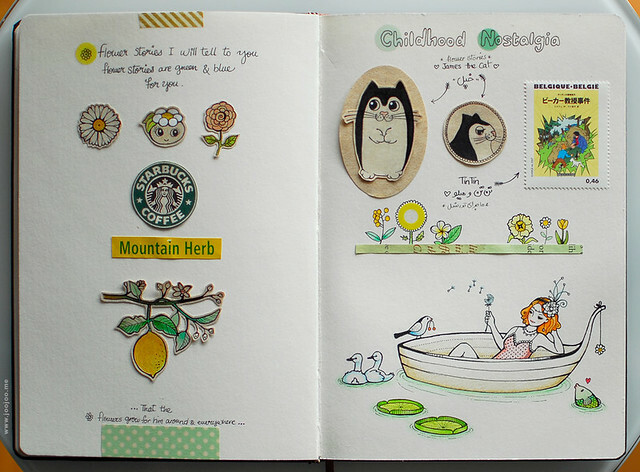 Your sketchbook is so magical. I like Your style! Oooow! Your Khepel in much younger than the real Khepel! :D It might be a photo of his childhood, and it's cute indeed! 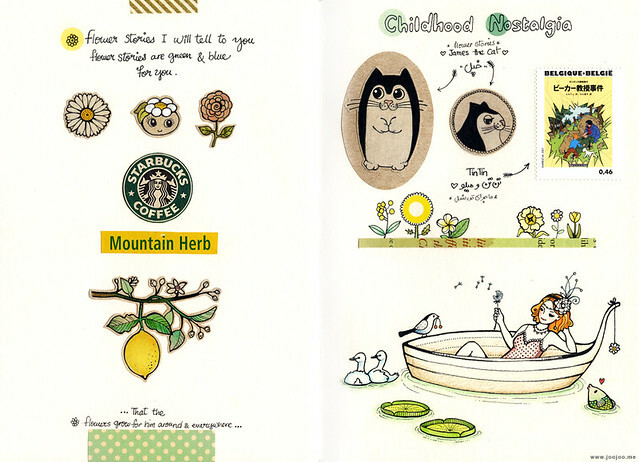 Every page of your sketchbook is an artwork, the combination of colors and the yellow base in this page is really yummy and beautiful. I love those leaves floating on the lake. Your art is fun and absolutely adorable! Thanks for showing your work!